While many people associate the island nation of Taiwan with its capital Taipei, the country is actually quite large in terms of land area - over 36k square km (14k square mi), only a small portion of which is part of metropolitan Tapei or the other Taiwanese cities. 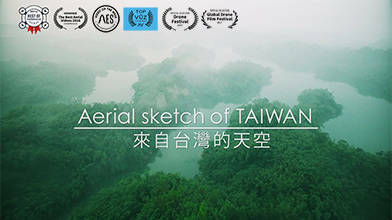 In this video, contributor NAVA used a DJI Phantom 4 Professional drone to give us an aerial tour of the island, including some relatively unknown yet spectacular spots far from the skyscrapers of Taipei. Description: Taiwan has plenty of spectacular views. I took that superb view from the sky. There are more than 30 spots visited for this movie. *The temple is shoot with permission.